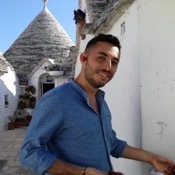 Traveler Reviews for Private Tour in Bari, Apulia, Italy by Tour Guide Giorgio I. About Giorgio I. Message Giorgio I. We had a fantastic day with Giorgio, one that will be a highlight of our trip. TOUR GUIDE RESPONSE: Thank you very much Nicky! It was a lovely day for me too! See you soon! Giorgio was absolutely fantastic! 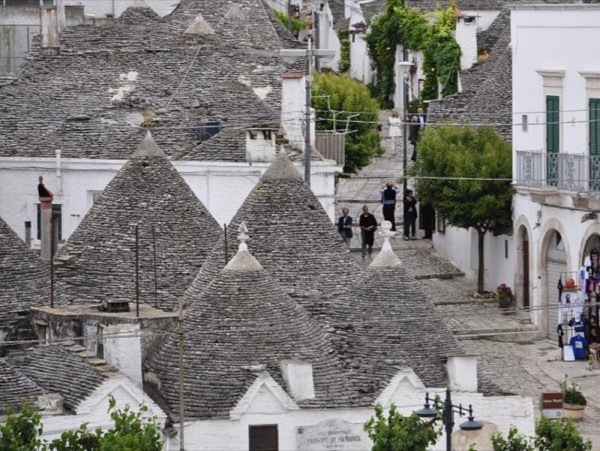 He was extremely knowledgeable about the Puglia region and went out of his way to show us many hidden treasures that this wonderful part of Italy has to offer. Highly recommended! TOUR GUIDE RESPONSE: Emma, Tim and Lewis, thank you very much for your feedback. I hope that your concert was great, unluckily I didn't came because of my work. I hope to see you again! Cheers! Giorgio is an incredible tour guide! He exceeded our expectations. He shaped our tour perfectly to what we were exactly after which included an amazing family run mozzarella farm. We were able to experience how the locals live, as Giorgio knew many locals who still live in Trullis. He is also so knowledgeable about the region. Most of all Giorgio was easy to get along with. It was the best private tour we have been on, we highly recommend Giorgio!!! TOUR GUIDE RESPONSE: Dear Natalie, thank you for your feedback! I am honored to be the best private tour you have been on and I will be very happy to meet your family and your friends. All the best! Grazie! Fun tour guide. Great stories about the culture. Awesome places to visit. TOUR GUIDE RESPONSE: Cia Silvester, thank you for your feedback. All the best. Giorgio was pleasant and knowledgeable and considerate as well as flexible to meet our needs. TOUR GUIDE RESPONSE: Dear Anne, I liked our tours as I liked you two! All the best and thank you for your feedback! Giorgio is a charming, disarming and exceedingly knowledgeable tour guide. He has a wonderful personality and sense of humor and knows how to pace and structure the day to the utmost enjoyment. His command of English and his passion for the arts, food and culture make him the most fun we have had on any tour anywhere in Europe. He truly is a great ambassador for Tours by Locals. TOUR GUIDE RESPONSE: Roger, what can I say? It was one of the best tour of the season. You made my day just beautiful and you are that kind of guests that I would to recommend to other guides (It sounds like an upsidedown world... :P ) Please come back to the south of Italy or... see you in US.... Hugs and peace! Giorgio was a great guide. We had a perfect day!! TOUR GUIDE RESPONSE: Dear David, thank you for your feedback. I hope the best for you! Hugs!